Mind you I don’t play D&D 4the edition anymore. But the decision to stop playing D&D was a hard one for me. I’ve said it before and I’ll say it again, it was akin to a divorce for me. I was really invested into D&D, it wasn’t only my favorite game, but my favorite pastime, and while it may seem silly to some I agonized about giving up the game. Of course I play Pathfinder now (and I wrote about it before) and the notion that seemed so hard at the time now is a little silly. Then something like this comes along and causes an instant reaction in me. I’ll try to be dispassionate about it, but it may be hard, so forgive me if this comes of like a rant! I am fully aware that D&D 3.5, the game I used to play, had copious amounts of errata over the life of the game, and some may say that quickly addressing broken or difficult rules is a sign of responding to the fan base concerns and a willingness to admit t when a mistake has been made. It certainly becomes a necessity for their current business model. The use of online tools and the immediacy of the Internet age mean that fans expect their concern to be addressed, and addressed now. I don’t doubt the designers are addressing the problems to make what they believe to be a “better” and more “balanced” game. AD&D had errata. Years after I switched from AD&D 1st edition to 2nd edition I learned that TSR had published errata for Unearthed Arcana in Dragon #103. The Cavalier and Barbarian were clearly “broken”, terribly overpowered when compared with classes from the Player’s Handbook and many of the rules in the book needed clarifications, but I never got the errata. I played with the rules as they were, and had fun. While some were in fact “broken”, that never affected my enjoyment of the game. Likewise AD&D 2nd edition had errata but even after I discovered it, I don’t think I ever incorporated it into my game. The fun we were having and the stories we were telling were far more important than the minutia of the rules. It wasn’t until D&D 3rd edition came around, and I began to use the internet for news, visiting forums for discussions, that errata became part and parcel of my games. I copied it, printed it out for my players, made sure I was up to date, and in all sincerity it became too much of a hassle. We may delude ourselves into thinking RPG design is a science, but it’s not, it’s an art. We may accuse designers of doing a poor job, of not being thorough enough, but they are human and no matter how much they playtest things will slip by. I think what really get’s to me is our expectation that things will be fixed quickly and to my satisfaction. We truly have become a culture of instant gratification. The game I currently run has errata and I don’t ignore it, but I refuse to be trapped by an unending quest to know about every “broken” rule and combo and worry if my game is balance. I just want to play and have fun. What’s your take on all of this? Thanks for reading…. Wizards of the Coast stops all PDF sales Wizards of the Coast, please reconsider your PDF policy! Hey Wizards of the Coast! Where Are My Apps? Wizards’ new GSL The Pathfinder Role Playing Game Reference Document UPDATE! When I was younger and played RPGs I always felt there was a clear right and wrong way to play a game. The designers were always right. They wrote the rules didn't they? But as I've matured I feel confident that I know what will or will not work at my table. I may look over the errata and decide whether or not to apply it. I bought the book and it's my game now. Others may suggest, but I have the final say. The problem comes when someone from my table sits down at another table or vice versa. We may have a common parlance using the rules, but we may also speak with a distinct dialect. The enforcing of standardized rules is the only way that players can go from table to table and expect to know what will be possible in a given situation. In his book, Role Playing Mastery, Gary Gygax talks about this very 'problem' being an impetus for AD&D: a codified rule set that is the same where ever you go as opposed to the much freer interpretations of OD&D. I guess we're living with the legacy of that decision now. I agree that with the immediacy of the internet many have come to _expect_ immediate change. But there are a lot of gamers who are not plugged in. Their only contact with the gaming world at large is the regular visit to their FLGS. Yeah, 88 pages, my initial reaction is to be pissed! But that's why I play Swords & Wizardry and don't worry about it. .-= JJ´s last blog ..Read an RPG Book in Public Week =-. 88 pages of Errata, and you know how much work it will take to integrate it into my game? None. I have a DDi account, and use the online tools extensively – that means that I can access the current rule set without any difficulty. Of course, I don't really care, either. I tend to play pretty fast and loose with the rules anyhow, so it doubt it will have much impact on my game either way. It's nice to know that they're addressing things, though. Add me to the list of those who ignore errata in game unless a player brings it up. Most errata addresses combos created by optimizers or unclear wording. Since our group has neither munchkins nor rules lawyers, the problems that the errata fix do not exist for us. That does seem a lot of rules updates. I hope it isn't the same type as some of the 3.X 'errata' which changed large parts of the game completely. Anyway, I'll stop rambling on your blog. Geez, 88 pages? NewbieDM was also saying one of his players was so annoyed over the update that he almost wanted to quit. I don't see how that serves the game. To me, the saddest thing about this update is that it proves once and for all (not that I needed this to form this conclusion) that 4e is well on its way to being just like 3.0/3.5 was, a downward spiral of power creep. .-= Daniel M. Perez´s last blog ..RPG Blog Carnival: St. Patrick’s Day 2010 =-. My take? I can't wait until the game is finished so I can really start to enjoy it. As you noted 3.5 had it's share of errata, updates and revisions and the end result was pathfinder, a complete, polished and solid game system. But it took over 10 years for the game to reach this point. 4e is innovative, period. It is an intelligent, accessible and most of all fun game system that is in all honesty still being made. Nothing comes fully formed from the brow of zeus, and hell, every system has their fair share of revisions, updates and errata. It's understandable to gripe, but really why bother? JJ when I was young I felt somewhat like that too, I believed the books were LAW (even when the author said they were NOT) and I was never playing it right. It never made me stop playing BUT I always felt I was doing something wrong. Wickedmurph, but what about players who are NOT connected to the net, who would rather play without having to use the net, like JJ said they are not plugged in? 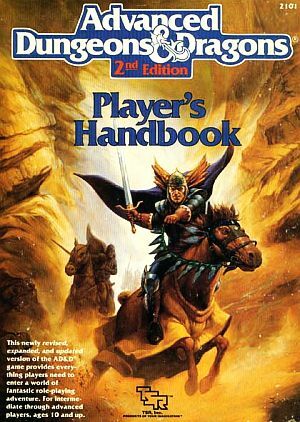 I know it sounds strange in our day an age, but when I was playing D&D 4th edition none of my 5 players had a DDI account, 2 had no internet connection at all and 1 did not use the computer for gaming purposes. And I’m not asking to invalidate your point, mind you, It’s a genuine concern. I think that if you are playing 4th edition getting the DDI subscription is a must! Swordgleam, while I admittedly have players who enjoy the min-maxing experiment, they are judicious and don’t abuse the rules, I guess it has to do with the fact that we have been friends for a LONG time and there is no sense of conflict or competition between the players and the DM. Carnageek there is a lot of changes on how specific things work. Daniel I agree with you that it seems like a large amount of change so early on, but again you can take the position that Mike proposes and see it as a game evolving. I truly feel that if you re up to keeping up with the changes is room for you to enjoy the game evolve. Mike I’ll try not to gripe BUT it wouldn’t be a discussion on RPGs without some gripping. Just kidding! "To me, the saddest thing about this update is that it proves once and for all (not that I needed this to form this conclusion) that 4e is well on its way to being just like 3.0/3.5 was, a downward spiral of power creep." WotC actively publishes errata on a predictable schedule – errata that fixes the power issues that inevitably crop up in a game – and this is evidence that the game will succumb to power creep? What kind of bizarro logic is this? I'm having trouble seeing it as anything but an attempt to justify your own perceptions of how you imagined the game might turn out, regardless of whether or not those perceptions are in any way justified. Errata publishing and integration like this is EXACTLY what modern RPGs need. As a DDI subscriber, I can be assured that I am using the most recent rules of the game without having to track every little change. When something comes up at the game table, I can literally pull the rule up with a search, and it will be the most up-to-date version of that rule. If you don't have a DDI account (What are you doing? Get one! ), then this is a non-issue. The game was quite playable even with no errata. If it's not a problem for your game, don't bother with it. If, for whatever reason, you're a D&D player who doesn't have access to the internet and thus doesn't keep up on online D&D developments, you probably won't have heard about the updates anyway. If you don't like the errata, don't use them. But you shouldn't see this as an excuse to hop on the WotC-bashing bandwagon. They're going out of their way to give you updates to the game. They should be praised for this, not snubbed. Scott, like I said different stokes for different folks. I realize there are people who embrace the errata and I applaud Wizards for taking the steps and sticking to their business plan. I did have DDI for a year and while it was fun and certainly made running the game easier, I did not renew after I decided no to play 4th edition any more. I have been taken aback by the negative reaction I’ve seen from my friends who do play 4th ed., but this is anecdotal and confined to a close group. I know this may not be the general consensus. I think the RPG field, decidedly a niche market, has space for diverging views on how best to capture the market and bring RPGs into the future. While I may not play D&D 4th edition anymore I don’t want to bash Wizards just for being the big boy in the playground. In fact I can talk about all the good things I learned while playing 4th edition… That may very well be the subject of a new post! Scott thanks for stopping by and voicing your opinion. I play an online game using Maptools and Skype. So players who aren't online… they aren't really an issue, now are they? Even so, only 3 of the 8 in the group have DDi subscriptions, and only 4 own any 4e books. I run the game, and I only have 3, DMG, PH1 and MM, and I consider the MM to be something I shouldn't have bothered with. In a sense, it's a totally different game than any version of D&D I've played before. I don't buy tons of books, I don't read rulebooks all the time – I look up rules when I need them, have everything bookmarked and digital on my computer. .-= wickedmurph´s last blog ..4e Sandboxing =-. Well, I can't play any game as-is out of the box, anyway. My poor players have to deal with pages of houserules and other wonkiness. We're working on collating all that into a unified whole (pdfs are great for that). .-= Brian´s last blog ..Ripples in the Sandbox =-. I don't think errata updates are bad — but for an already extensive rule system that took a while to fully master, I wonder how many of my players actually have the time or inclination to bother. I still play 4e, but it has certainly turned me off of rules-heavy RPG systems. Hard-cover 400+ page rules-heavy systems with addendum, errata, and compendiums are all the rage. A friend wanted me to look at Eclipse Phase and I nearly passed out. Who has the time to learn this stuff? I suppose it's a good thing in the end that WotC is smart enough to go and fix up earlier mistakes and design decisions. As a software developer it's part of my job to do so. Just wish it was as easy to apply to my current collection of rulebooks as a source-code patch. As for DDi, no thanks. I don't play that often and am not so invested in the game to justify it. Some people are. But should it be a requirement to get the most out of the game or these errata updates? You know, I just print out 88pages and put it in a three ring binder and keep it with my books and just check things off as best as I can. My players do too. I will admit that it would be nice that since I bought the books WOFC should offer me the whole book as an updated pdf document. .-= Youseph´s last blog ..Christopher Nolan’s Joker =-. This is what prevents power creep in 4e. R&D receives feedback and moderates the outliers that are out of line instead of letting them become the new baseline. Even if you do not use the errata, you benefit because you don't get the "compounding interest" factor over time. 88 pages. Because of the structure of 4e, much of this won't apply to any specific character. Also, many of the updates aren't nerfs or boosts. They are clarifications of phrasing. Many of them seem to say the same thing, but they clear up ambiguities of interpretations. For those that play loose with the rules, they don't matter. For those looking to avoid rules arguments or guidance on rulings they are quite helpful.